New research has suggested that three glasses of Champagne a week can help to improve your memory. Scientists at Reading University say that a regular dose of bubbles can help in the fight against brain disorders such as Alzheimer’s and dementia. Professor Spencer’s team said that the compound phenolic acid is what can boost memories. Phenolic acid is found in the black grapes, Pinot Noir and Pinot Meunier, both of which are used in the production of Champagne. The professor told the Mail on Sunday that the research team had put Champagne into the food for rats every day for six weeks. The rats then ran in a maze to find a treat, with the test repeated after five minutes to see if the rats remembered where to go. The rats that had no Champagne had a 50% success rate, but this went up to 70% in the rats that had Champagne in their diet. Professor Spencer now hopes to take a trial to humans, with around 60 pensioners being asked to drink Champagne for three years. It’s hard to imagine there will be a shortage of volunteers for this trial. Spencer told the Mail on Sunday: “The results were dramatic. After rats consumed champagne regularly, there was a 200 per cent increase of proteins important for determining effective memory. “This occurred in rats after just six weeks. We think it would take about three years in humans. This research is the latest in a long line of possible alcohol-related health benefits, including battling lung cancer, lowering cholesterol and helping with arthritis. Love my champagne and now it’s good for my memory. Keep it chilled. 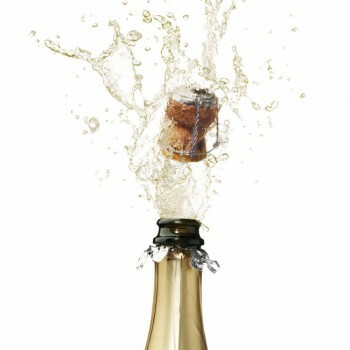 I can see it now…..Champers on the NHS! Fabulous idea, I bet the frenchies are counting their chickens right now! Sign me up. Bubbly is the best. Does it make a difference if its a spumante? Where can we sign up? May work for rats but certainly didn’t for my mother who enjoyed a single glass of bubbly pretty regularly but got early onset Alzheimer’s . Are you absolutely positive it was real champagne, made from black grapes that supply the phenolic acid? So much of what is sold as “sparkling wine” or “cava” may be delicious but is not the same. And planting a few more grapes Paul ! Just returned from “Champagne” district in France & I remember everything. So what did I have to eat while there you ask?? Why it was….??&&!?? that is complete BS one study & we should all drink champers. we are treated like imbeciles. when i drink red wine or champagne i find it difficult to string many words together to have a conversation (reflecting change in memory after only 1 glass not being drunk) and feel very dehydrated afterwards. that tells me its.not a good idea to drink the stuff. my naturopath suggests its the preservatives thats responsible. Try a wine from a good organic winery. There are a few around – here in Australia anyway. Tamburlaine Winery in the Hunter Valley is one. Well would like to try this, and see what happen’s..
Sign me up too!!! Love my champagne!! Does bubbly work better than wine?